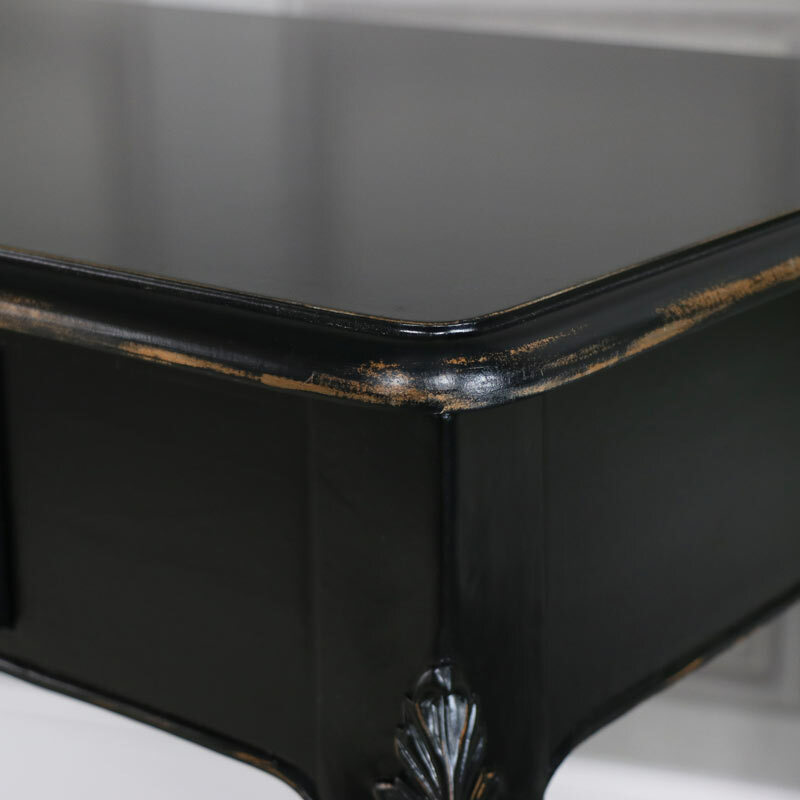 Vintage style large black console table with a rustic style feel. 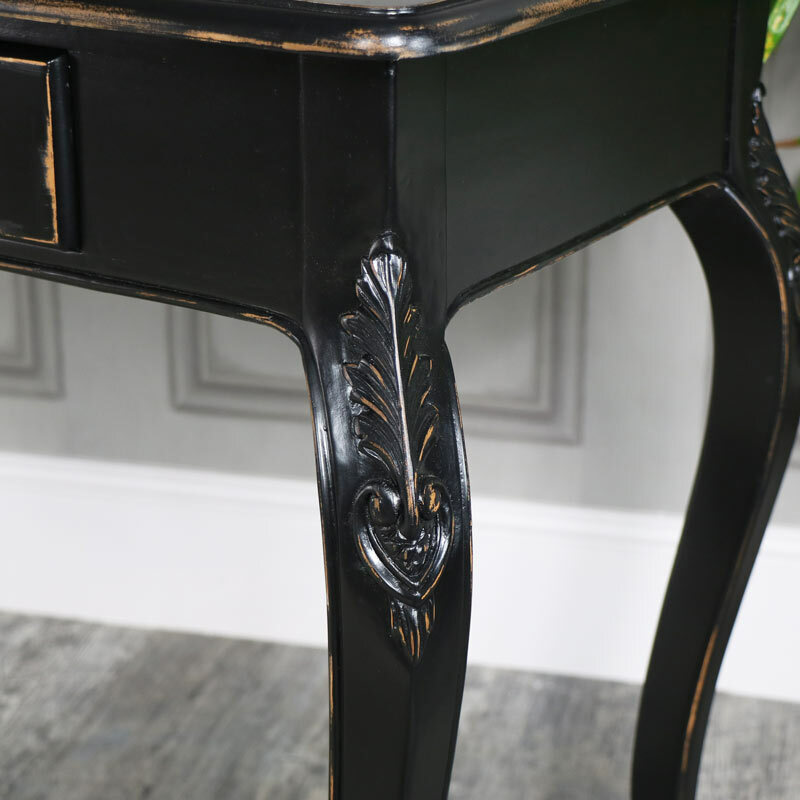 Traditional vintage styled hall console table providing a large surface area for standing photographs and ornaments. 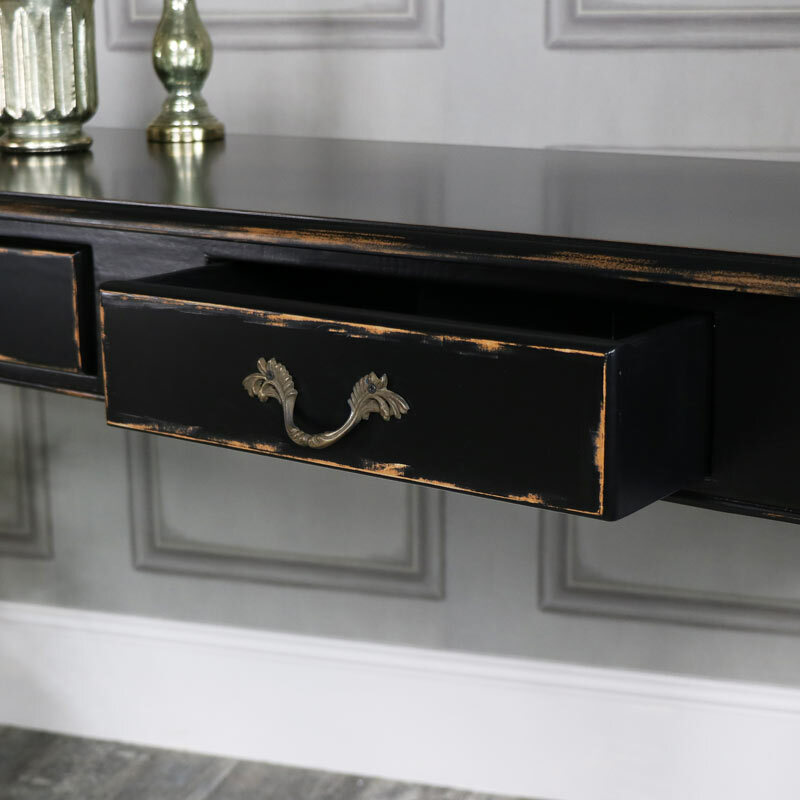 In a black rustic painted finish and antique brass pull handles to the 3 drawers. 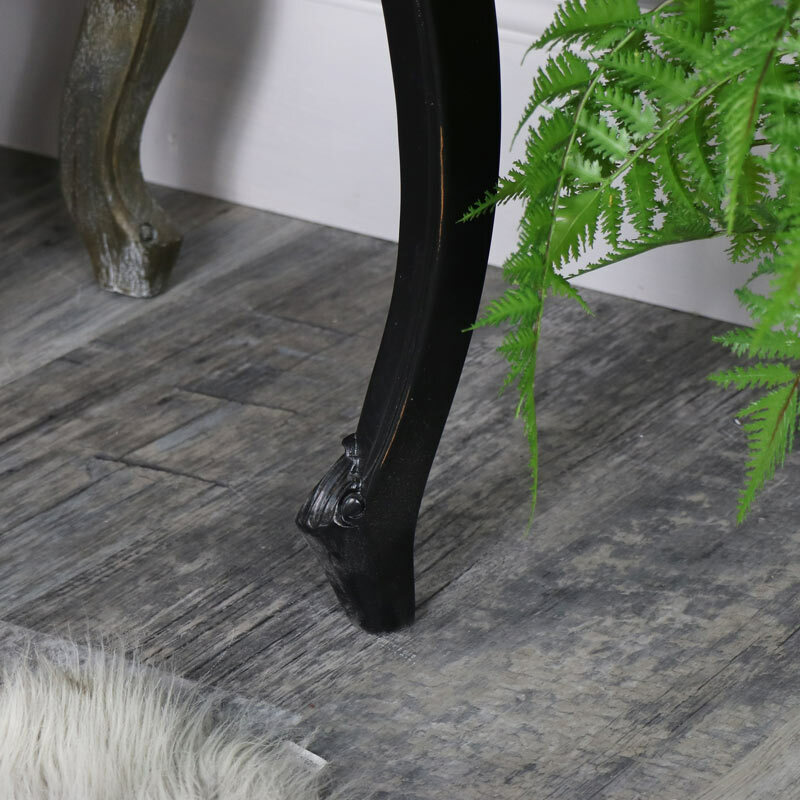 Perfect for a vintage interiors hall way or living room.